Professor Self has a wide medical and scientific background and has been closely involved with the biotechnology industry for over twenty years. He holds the following qualifications: BSc (Chemistry), PhD (Biochemistry), DSc (awarded for work in Analytical Science), MB, BChir (Cambridge University Medical School) and is a Chartered Chemist, Fellow of the Royal Society of Chemistry and Fellow of the Royal College of Pathologists, Member of the Association of Clinical Biochemists and Fellow of the Royal Society of Medicine. 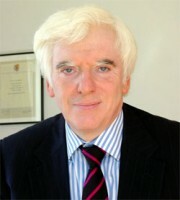 He is currently Professor of Clinical Biochemistry in the Medical School of the University of Newcastle and Honorary Consultant to the Royal Victoria & Associated Hospitals NHS Trust, Director of the Newcastle Supraregional Assay Service, Chairman of the UK SAS Management Executive and Committee of Directors, Trustee of the Foulkes Foundation and recently BBSRC Governor and Trustee of the John Innes Centre. He was awarded the Foundation Award of the Association of Clinical Biochemists in 2000 and his group was rated in the highest category of 5* in the past UK Research Assessment Exercise. Following his first degree in Chemistry Professor Self obtained a PhD in Metabolic Biochemistry. He then went to the USA, and subsequently, to the Max Plank Institute in Tübingen to train and undertake research into immunology. During this period his major interest was in immunogenicity and immunodiagnostics. He returned to the UK to take up a lectureship during which appointment he wrote an undergraduate text-book on immunology. Following this he studied Medicine at Cambridge University followed by hospital appointments in Gastroenterology, General Surgery, Rheumatology, Respiratory Medicine and Oncology. He was then appointed as Registrar, and subsequently Senior Registrar, in Chemical Pathology at The Hammersmith Hospital Royal Postgraduate Medical School leading to his present appointments in Newcastle. During his time as a medical student he invented and patented the technology of Enzyme Amplification, allowing the great amplification of signal (and thus speed and sensitivity) from immunodiagnostic and genetic tests. From this technology one of the first Cambridge Biotechnology Companies, IQ Bio Ltd, grew rapidly. Professor Self was Research Director during the formative years of the company. Through Enzyme Amplification the company was responsible for highly successful products for the determination of, for example, chlamydia, HIV and hepatitis. IQ Bio Ltd was acquired by Novo Nordisk A/S in 1985 and is now part of Dako A/S employing many of the original scientific staff. He the became particularly interested in the challenges of making high performance immunodiagnostic testing systems for analytes of low molecular weight such as hormones, environmental pollutants, vitamins and therapeutic and illicit drugs and other noxious and dangerous agents. The problem is that, because of their small size, they are not amenable to two-site reagent-excess immunodiagnostic approaches but instead their determination has largely had to rely on the inferior “competitive-format” systems. In response to this he developed the Anti-Complex Immunodiagnostic system. This was subsequently followed by his invention of the Selective Antibody technology which has subsequently been taken up by others and is also subsequently been termed the Idiometric Assay system. Further diagnostic technologies are currently being developed. For example, his new Apposition Assay System has recently been launched offering the rapid development of high performance testing systems of particular utility in point-of-need applications, such as road-side drug-testing, and has recently been featured in a 4 page article devoted to his work in the June 2004 issue of Chemistry World (1, 6, pp 42-45). His company, Selective Antibodies Ltd has resulted from this work. Professor Self’s major interest in the development of high performance systems has also carried his work into the therapeutic area. His team was the first to demonstrate the light activation of antibody (Self CH & Thompson S, Nature-Medicine, 2, 817) and from this he has recently pioneered the design and fabrication of ultra-specific antibody-based therapeutic agents of particular use in oncology in which the specificity of the tumour targeting antibody is greatly increased by being able to control the regional specificity of the antibody, simply by illumination. Using this approach it is now possible to direct the immune system within the body of an individual by light. The biotechnology company BioTransformations Ltd has been founded on these developments (www.biotransformations.com)offering a platform technology for the enhancement of existing antibodies into potent therapeutic agents. Disclosure:Colin H. Self, PhD, DSc, FRSC has disclosed that he has commercial interests with Selective Antibodies Ltd (a diagnostics company) BioTransformations Ltd (a therapeutics, drug delivery, company).